Marialena Karofili (Lou) is a crochet/knitwear designer and blogger, based in Greece. 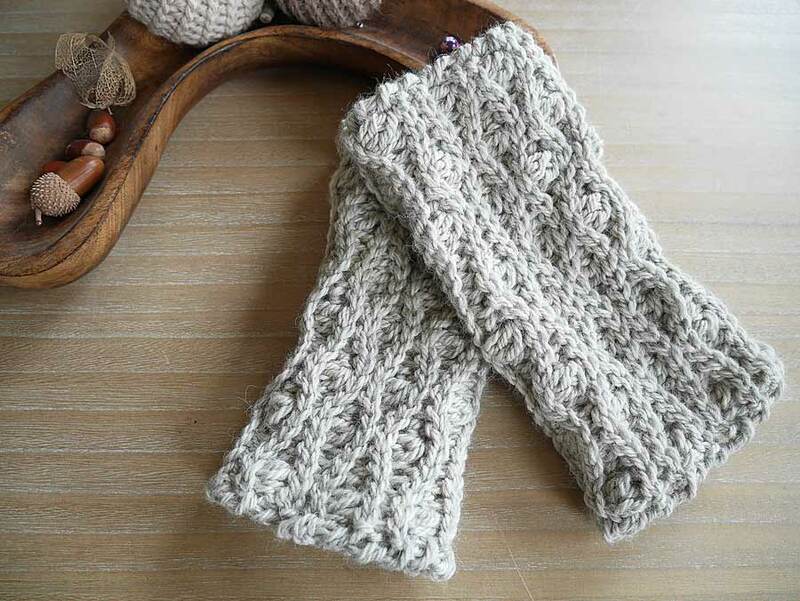 She learned to crochet on a whim in 2012, and immediately began to create her own patterns. 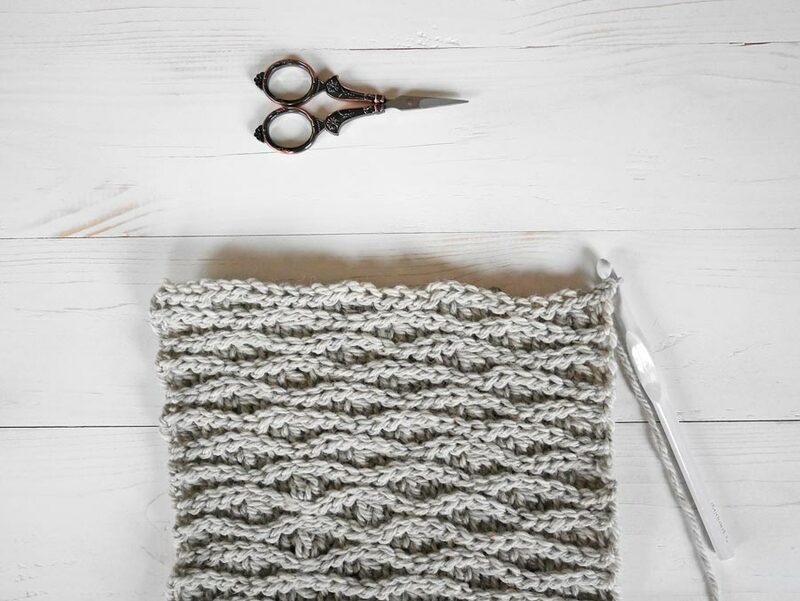 She loves to play with different techniques and materials to create texture and always tries to recreate some of her favorite knit stitches with a crochet hook! Her interests expand in everything that has to do with fiber arts, such as weaving, knitting, macrame, dyeing yarn and many more. Hey guys! My name is Lou and I am the owner and designer behind the Etsy shop Malloo . A few months ago I started a blog as a way of giving back to the maker community and sharing my passion about crochet in all its different forms. Back in 2012, YouTube and crochet blogs was the means that taught me how to crochet. With this new adventure of mine, I want to inspire new crocheters to feel confident enough to try any pattern they like, through tutorials and free patterns. As a designer, I really love texture and lines that flow, better than the harsh geometry. 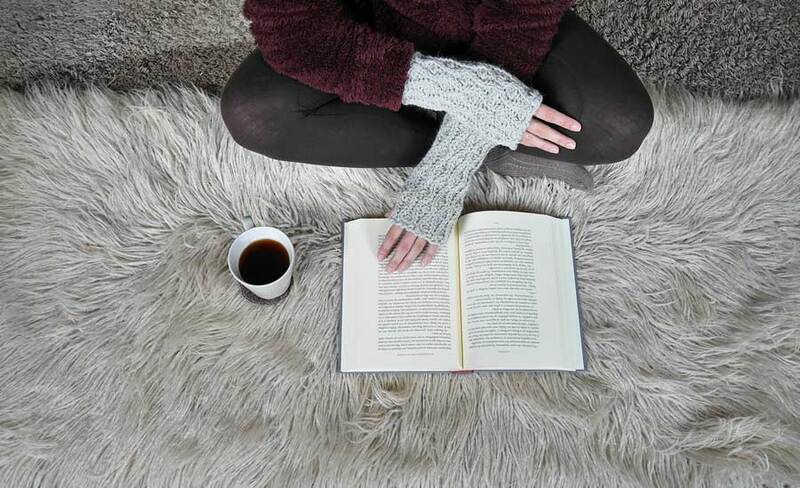 Spring, curves and the beautiful landscape of Scotland's countryside, were the inspiration for the Inverness fingerless gloves. Full explanation: yo, insert hook in the indicated stitch, yo and pull up a loop, yo and pull through two loops on your hook, yo, insert hook in the same stitch, yo and pull up a loop, yo and pull through two loops on your hook, yo and pull through all loops on your hook. Done! Crab stitch: Or reverse single crochet. It is the same as a standard single crochet but instead of going from right to left you will be working from left to right. It might seem really awkward and wrong at first, but once you get used to it, you will be rewarded with a beautiful result. 1. The entire pattern is worked in back loops only, unless it is stated otherwise. 2. The chain 1 in the beginning of the row does not count as a stitch. 3. One size included that fits a hand 7.5 inches (19 cm) in circumference. If you wish to make them larger just add 4 more rows as many times as you like. R5-28: repeat rows 1-4. At the last row, do not cut the yarn, ch 1 and get ready for the seam. Fold the piece with the right side inside. You will be facing the wrong side of the project and your working yarn will be on the back side. 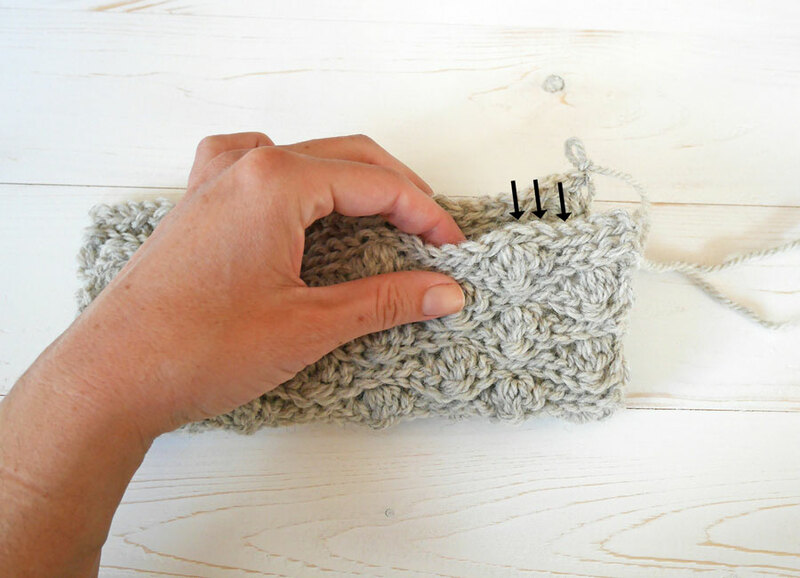 You can cut the yarn and use the yarn needle to sew the seam, if you wish. But since you had such a practice making all these slip stitches, I would suggest to continue with the crochet hook. It's not that I hate sewing, no, not at all… (insert angel emoji). Plus, this way the seam will be invisible! Again, you will have to work in back loops only, but this time it might be a little trickier to spot them. For the piece that is in front of us, it is the upper loop. For the other piece that is in the back you will have to turn your hand a bit to spot the back loop. It is the one with the arrow. Continue with the slip stitches in this way until you reach the 18th stitch. Cut the yarn and secure the end. Leave 4 stitches unworked, this is the thumb opening. 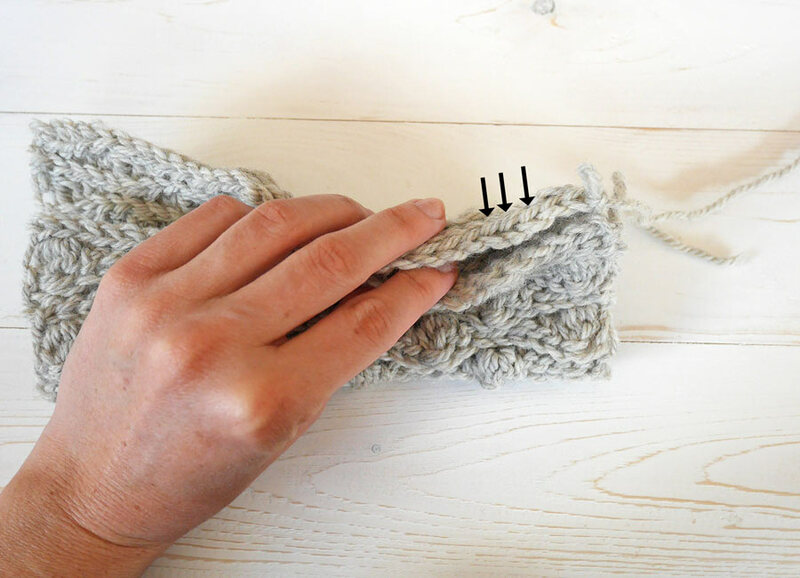 Connect the yarn again in the sixth stitch from the end and seam in the same manner. Do not cut the yarn, just yet. Turn your piece inside out, so now you can see the right side of the project. 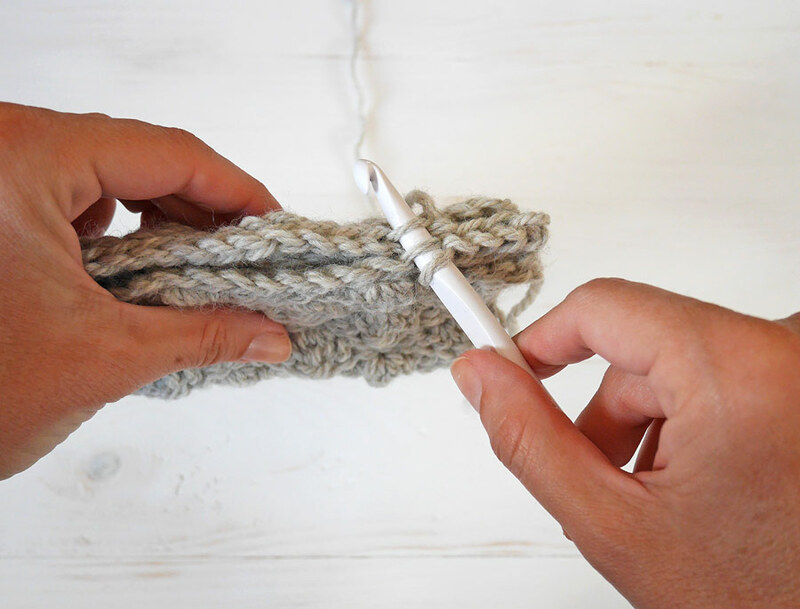 Grab your 6.5 mm crochet hook and continue with the crab stitch on the top side of your glove. It will take about 23 stitches around. One more or one less won't hurt, but be careful. Too few and your top will tighten and too many will make it really loose and open. I've found that 23 stitches is about right of a number, if your glove has 28 rows. Cut the yarn and secure the end. 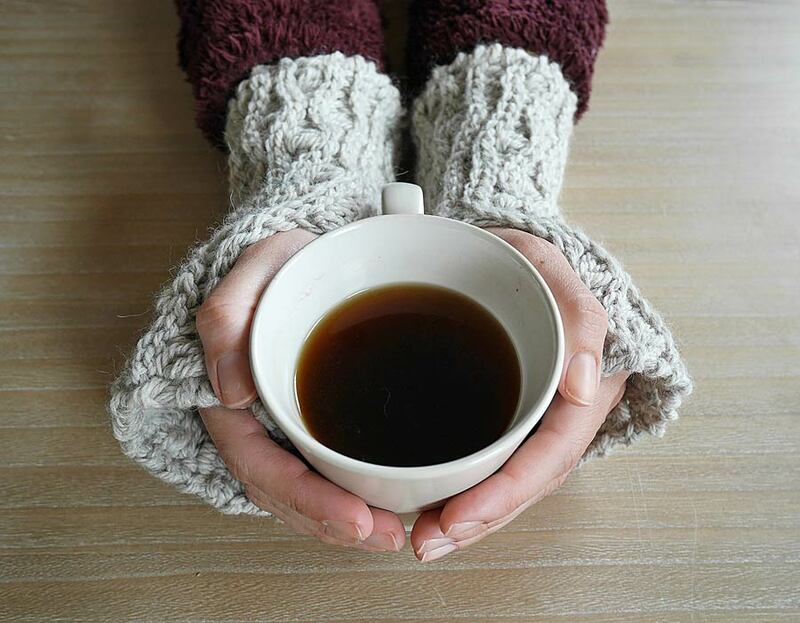 Join the yarn again at the bottom of the glove and repeat one row of crab stitch. Cut yarn and weave in all the ends. First glove is ready! Both gloves are worked exactly the same, even for the seaming part, so just repeat the process one more time and you are done! Congrats! I really love seeing your project photos of my patterns. 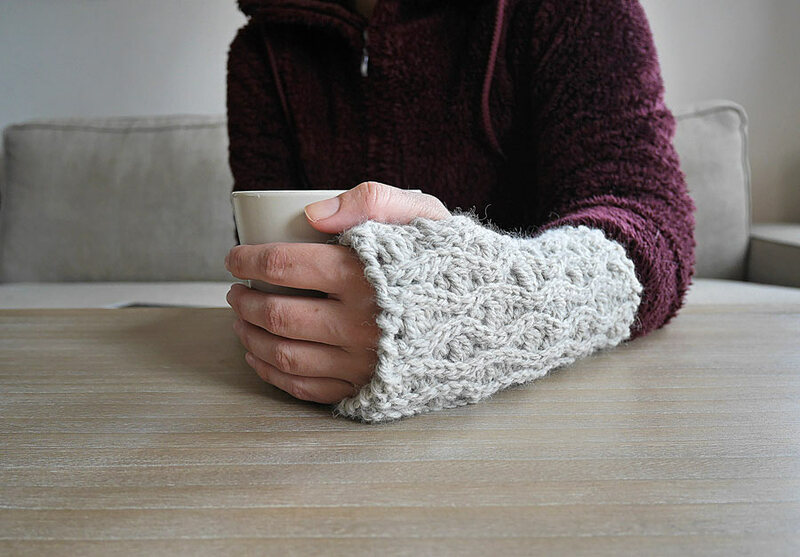 Use the hashtag #invernessgloves and tag me @malloo.knitwear on Instagram so I can see all the beautiful things you are going to make. You can find more of my patterns on my blog, Etsy, Ravelry and Love Crochet.